As many of you know Rocky passed away on Oct. 5th, it was a rather sad time for us. We had a small memorial service for him on the 11th, Bruce Lawrence delivered a very moving eulogy, you can read it here. Jackie Byrne read the The Rainbow Bridge a poem inspired by a Norse legend. 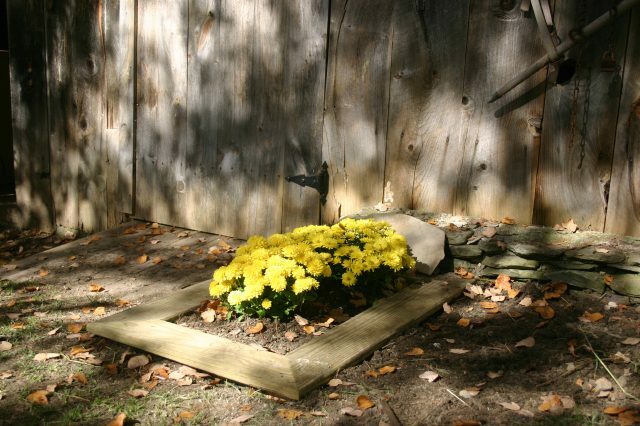 Rocky is buried down by the barn close to his favorite place... The Pond. 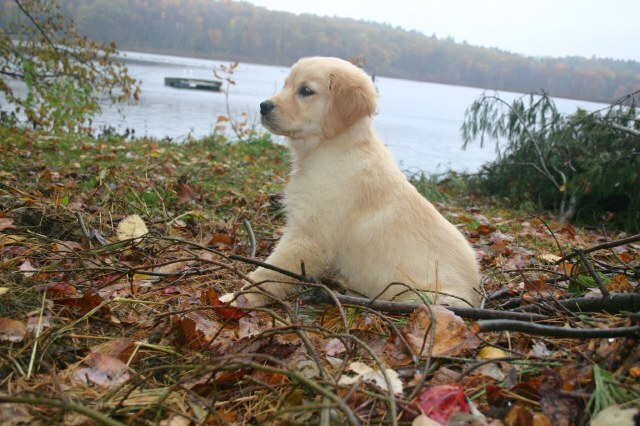 On Oct. 20th we received a new golden retriever from a breeder in Millis, Ma and we named her Maya. Her mother Hazel is from Canada, Hazel is a blend of Swedish, Norwegian and American lines. Maya's dad is Collin from a breeder in Ohio and has many champions to his credit. Her are a few photo's shot a few weeks ago ..... Doesn't she look intelligent! Guess we'll see! 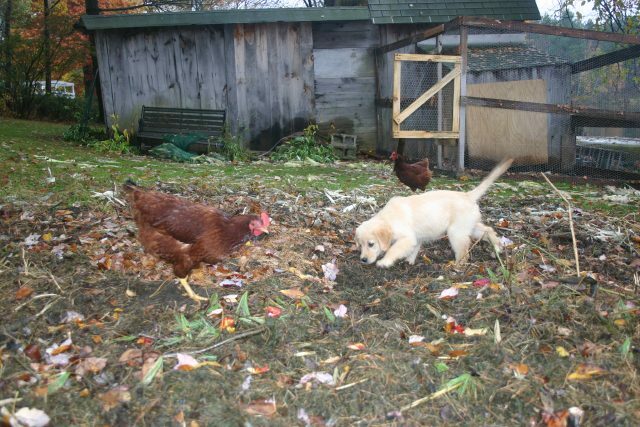 Maya enjoys the chickens as much as Rocky!